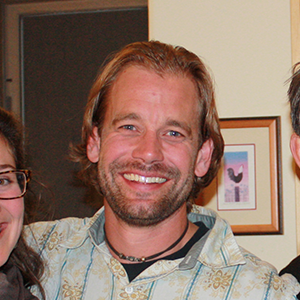 Mike Beerntsen began his career in experiential education in 1994 leading wilderness programs for adolescents. He followed his passion for education and the outdoors to Outward Bound, where he worked from 1998-2002. During these years, he was as an instructor, course director, and staff trainer for programs serving at-risk youth in Minnesota, Montana, Texas and Florida. His time at Outward Bound also gave Mike experience organizing and developing courses. His interest in working directly with teenagers for longer periods of time and in an academic setting led him to join the faculty of Vail Mountain School in 2002. During his ten years at VMS, Mike was the junior class advisor and taught U.S., European, and world history classes. Before making the transition to working for SStS full-time in 2012, he also chaired the history department for seven years. During the summer of 2007, he led the first SStS course to India. Since 2009, he has instructed the SStS courses in Kenya and Bolivia.